I wanted to put together a list of some great Brooklyn-based gifts. The following are gift ideas that I FULLY stand behind – they include a couple ideas for activities to do in Brooklyn, as well as my top recommendations for where to shop. Many of these places also have online stores, so if you aren’t in Brooklyn / shopping for someone in Brooklyn, don’t let that stop you. I am a huge fan of all of these and truly think they’re the best of the best in this borough. So, whether you are looking for a gift in Brooklyn, are looking to gift someone that lives in Brooklyn, or just want to give a Brooklyn-made gift, these are for you! 1. Beginners Letterpress Workshop at The Arm: A super informative one-day workshop class that covers the beginning basics of letterpress and prepares you for printing on the presses at The Arm. Once you complete the class, you receive access to use the studio and rent out the presses whenever you desire. I love this place and although I haven’t had the time to print anything recently, The Arm is where I first learned letterpress and I even printed THIS wedding invite suite there! To give this class as a gift, head on over HERE. 2. Helen Dealtry Classes & Shop: As you may remember, I had the chance to take one of Helen’s watercolor classes a couple of months ago (see that recap HERE). This is another great Brooklyn workshop. And while Helen hasn’t announced her 2016 classes yet, head on over HERE to shop her insanely gorgeous textiles and art in the meantime. 3. Campbell Cheese & Grocery: Campbell’s is my favorite little shop in all of Brooklyn. Ever since they opened last year down the street, my neighborhood has been a much better place. Every SINGLE thing on their food menu is delicious (they’re also on Seamless btw). My boyfriend and I have started a weekend tradition of getting their egg + cheese biscuit with fig jam on Sunday mornings – it is to die for, a definite highlight for us each weekend. There’s also so many great locally made gifts inside from cheeses, charcuterie, cutting boards, aprons, books, and so much more. If you live in NYC and haven’t yet been, I strongly suggest you stop on by! I believe they also offer gift cards to give as gifts, you’d just have to call to check! 4. 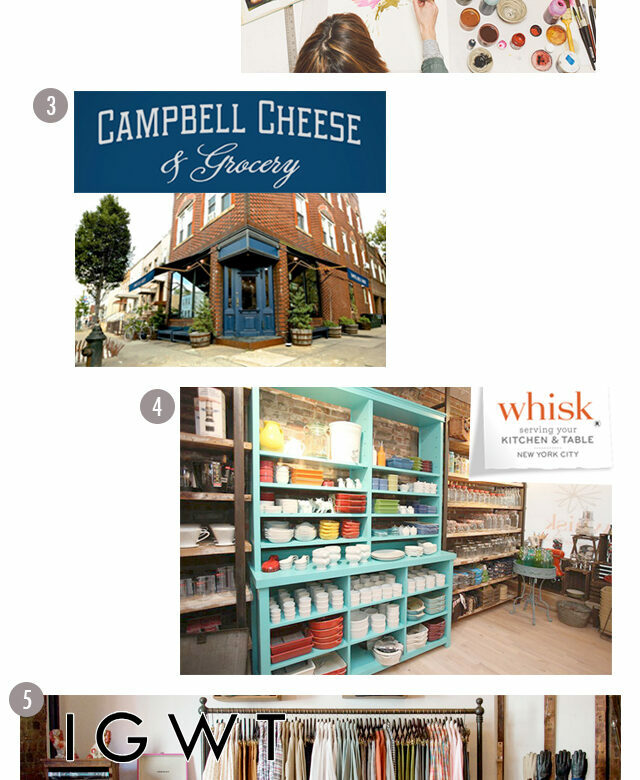 Whisk NYC: Whisk is a dream shop for everything in the kitchen. I often stop in to shop their cake decorating supplies in the back. 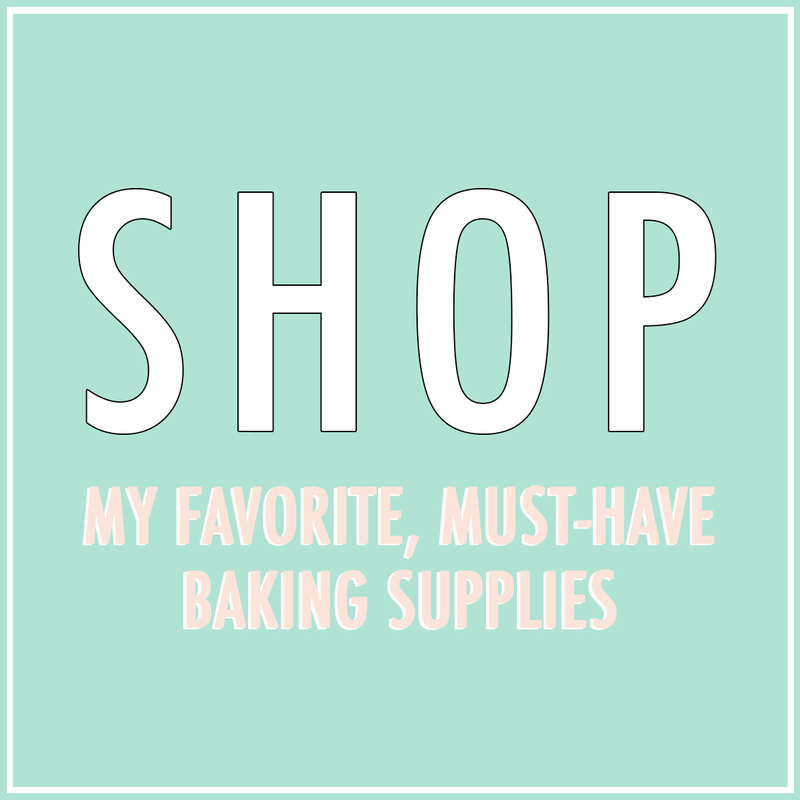 Bakeware, cooking utensils, seasonings, and so much more – this place has got all the goodies! If you can’t decide what to gift, Whisk also offers gift certificates which you can purchase HERE. 5. In God We Trust NYC: With stores in Greenpoint and Williamsburg, In God We Trust is one of my favorite BK shops for clothing, jewelry, and accessories. I love how well their stores are curated, it’s always a perfect mix of unique items and locally-made basics. They have the best selection of jewelry and accessories and best of all, the people that work in the store are kind, friendly, and conversational. A very nice change of pace from those other too cool Bedford gift shops (like that one that rhymes with FatFird). You’re sure to find something great at IGWT (shop online too) and if you find yourself overwhelmed with all the awesome, just grab a gift card! 6. Bethany Robertson (aka @loveless_designs) is a local illustrator whom I just adore. Bethany recently released two books for sale. Buy her “Botanical Hand-Lettering Workbook” for just $13 on Amazon HERE. 7. Demetria “Deme” Chapppo (aka @ demedemedeme) is a super talented ceramicist out of Brooklyn. Her work is incredible. I bought a beautiful incense burning dish from her last year and use it daily. The quality is just one of a kind. I’ve accidentally dropped it a few times and it has never cracked or chipped…and by a few, I mean many times. To me, it’s been a shining example of how the quality of handmade is so superior. I love all of her work, and you can shop it HERE.